Those are among the top findings of “The State of the Media,” a report that will be released by Cision on April 24. The highlights come from a a study of nearly 1,500 journalists at a time when journalism seems to be under fire. · Being accurate is more important than being first: 78% of respondents said that being 100% accurate is their top priority. 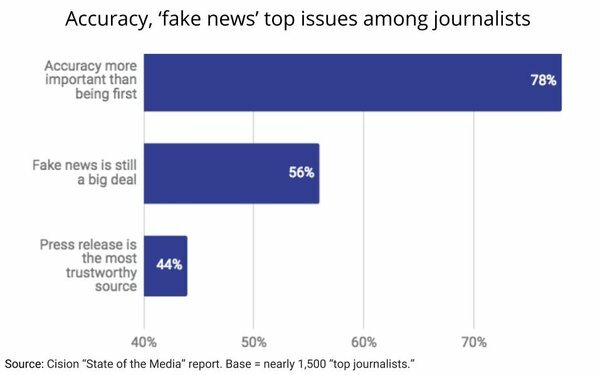 · Fake news is still a big deal: 56% or respondents said that fake news is making readers more skeptical than ever about what they read and see.